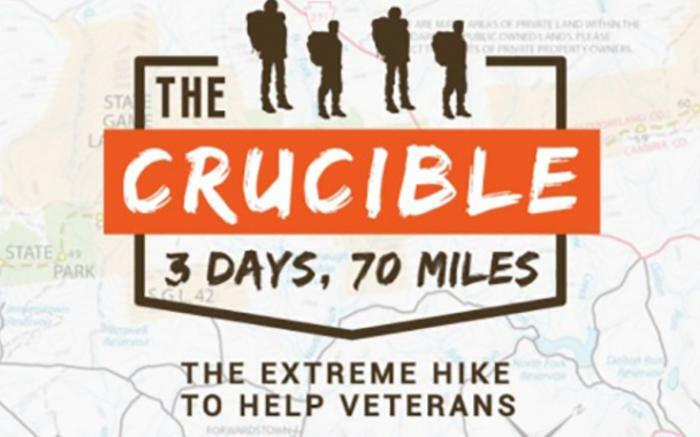 Imagine a group of 100 people tackling the Pennsylvania Laurel Highlands Trail for a three-day, 70+ mile extreme hike with a full gear pack - and the adventure in The Crucible begins. 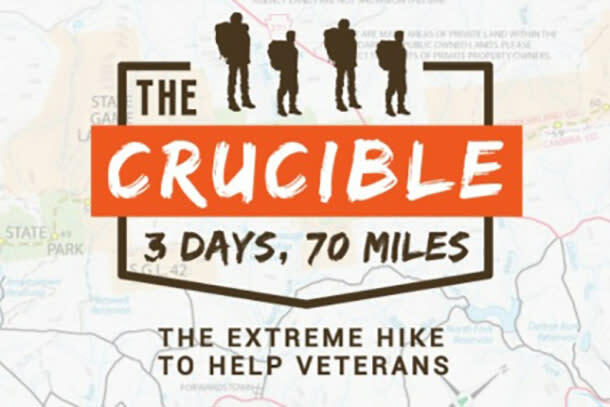 This three-day extreme journey through some of Pennsylvania's most spectacular scenery is not for the feint of heart, but your life won't be the same after you've participated in The Crucible. It's a journey of passion, determination and personal triumph, as much as it's an opportunity to make a difference in the lives of local veterans who are in need of housing and employment services. The 70-mile hiking trail stretches along the picturesque Laurel Mountains from the Conemaugh Gorge near Johnstown, PA where you can hike along a rocky footpath and dirt road through mountain laurel to the edge of a 1,000-foot gorge at 2,400 feet to the Youghiogheny River at Ohiopyle, located at the southern reaches of the Laurel Ridge, encompassing rugged natural beauty providing some of the best whitewater in the eastern United States, as well as spectacular scenery. The Crucible hikers will have access to overnight shelter areas with food, medical attention and plenty of campfires and stories where new friendships will be forged. The physical and mental challenges associated with the three-day event mirror the timeless military credo – “we’re all together on this”.